The beginning of 16th century is one of the most flourishing moment for arts and culture in European’s history. Italy peaked then with geniuses like Pico della Mirandola, Leonardo da Vinci, Michelangelo and Raffaello. Those were great times for organ music too, rich of innovations and ideas that reverberated for many years ahead. Gregorian chants are still the benchmark and main reference for composition, however new elements started appearing as free compositions, processing of sacred and profane pieces for vocal music. All seeds that will became favourite themes for future composers. 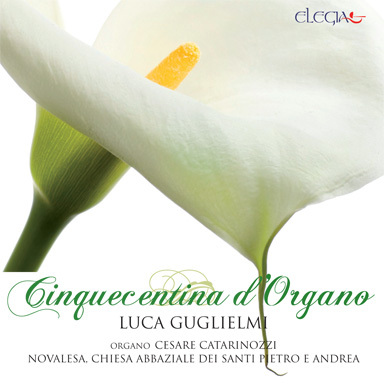 This CD was conceived to present and compare those new tendencies on a magnificent organ built from the well known Cesare Catarinozzi (1660-1743) around 1695 for Subiaco’s Abbey and now situated in Novalesa’s Abbey (Turin), it was recently restored from Glauci Ghilardi in 2006.